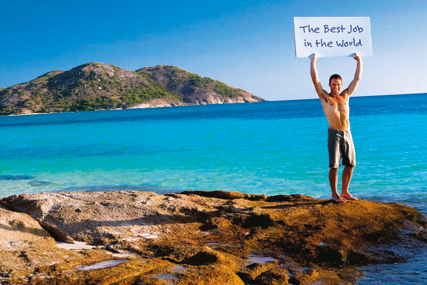 CANNES - After picking up the Grand Prix in the PR Lions, the 'Best job in the world' campaign for Tourism Queensland has also scooped the honour in the Direct Lions. The only award for the UK came in the shape of T-Mobile's 'Dance' by Saatchi & Saatchi, which picked up a gold Lion. David Sable, the jury president and vice-chairman and chief operating officer at Wunderman, said: "The T-Mobile campaign was outstanding and had a huge commercial connection like any good direct campaign should." He then said of the winner, which was created by Cummins Nitro in Brisbane: "It is almost the perfect direct campaign because it started with the simplest and most basic DM ad of all – a want ad. Basic best practice relationship management." The category saw its entries down by almost 20% compared with this time last year and the jurors said that they had noticed a distinct lack of entries in flat mailers and direct response press. Sable said he thought that this was down to agencies being almost embarrassed to put them in, in case they "look old-fashioned". Darren Kay, the joint executive creative director of TMW, said that the bread and butter media "were being replaced because everyone was intent on creating digital, digital, digital". However, Sable pointed out that campaigns that looked to have digital bolted on, or direct added on to a digital campaign as an afterthought, were dismissed.